Today’s world revolves around the internet and in extension to that on the social media sites like Facebook, Twitter, Google+ etc. Today’s generation is a internet savvy generation and most children spend their free hours on internet and social media sites. And since the world wide web is a free independent medium with no censorship laws, its but natural that the parents of today children and teen are apprehensive of the childrens browsing habits and the friends they keep on the social media platforms. This is especially true considering the fact that 35 percent of the content on all the web is adult. So what do the parents do!!! Well a report from Eset says that nearly two-thirds of parents check social media accounts without their children’s knowledge. Now as we all know spying is bad but are the parents really doing a bad thing? VoucherCloud a voucher company conducted a poll of around 2,105 parents based in United Kingdom and focused on the social media use of children aged 13-16, and was conducted by voucher company VoucherCloud. It is pertinent to note that the minimum age for signing for a Facebook account is 13 years but children much younger that this use Facebook by logging in with alias ids or lying about their age. A previous research study done by the London School of Economics found that 43% of children aged nine to 12 used the site, according to a BBC report. Back to the VoucherCloud study, two-thirds of the respondents to the survey admitted to using various methods to check on children “without their knowledge.” Consecutively, 81 percent of the parents polled, said that their children used some kind of social media while 19 percent said that they did not or the parents were not aware of them using it. The poll also revealed that 73% of the children that used social media were on Facebook, making it the most popular site, whilst 56% were on Twitter. A further 49% used Instagram. 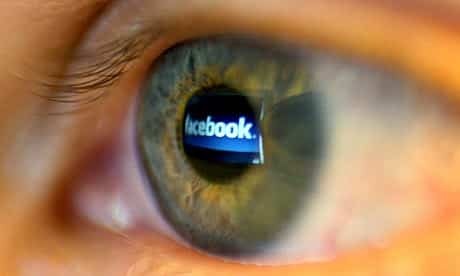 On the process of snooping on their children’s social media accounts, most of the parents admitted that they made sure to get the passwords to sign into the accounts, and without the permission or knowledge of the their children. This poll was consistent in this regards, with more than half (55%) admitted to this, and a third (31%) admitted to doing so “on a regular basis”. Two-thirds of parents or 67% also searched for their children’s profiles online to monitor them anonymously. Parents were asked, ‘Do you know the passwords to either your children’s personal email account or any of their social media accounts?’. 45% of the parents claimed to know their child/children’s email password, whilst 36% knew their social media login details for at least one of their profiles. Most parents admitted that their prime concern was “safety”. A further third said that they did so simply to check what their children were up to – as ‘they didn’t tell them anything.’ One-fifth of those surveyed had found something ‘incriminating’ by snooping on social accounts, and of those, more than half (53%) had confronted their children about this. Those parents who confronted their child/children were asked ‘Did you confess that you’d checked up on their social media or email account(s)?’ to which 38% said ‘yes’, but the majority, 62%, made out that they’d found out ‘by other means’.